On Monday, former New York Mayor Michael Bloomberg’s Everytown For Gun Safety group announced that it will be investing $2 million towards electing pro-gun control Democrats in Florida. According to the Sun-Sentinel, Everytown will be focusing its resources on “direct contributions” to statewide candidates and “independent spending in mail and digital advertising” on their behalf. 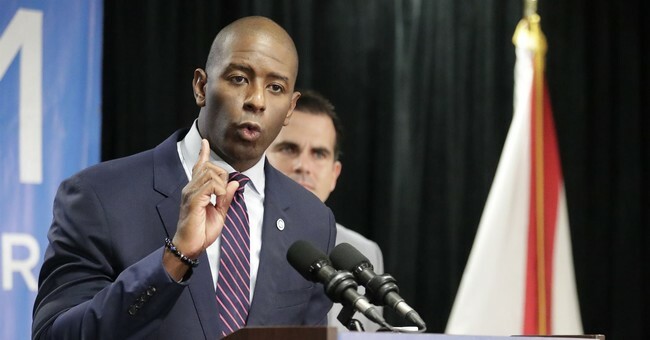 One of the main Democrats to receive this support will be gubernatorial candidate Andrew Gillum, who has consistently supported enacting extensive gun-control measures during his campaign this year. Per Gillum’s official campaign website, he has pledged to ban “assault weapons” and “large capacity magazines,” restrict “gun access for the mentally ill and known foreign and domestic terrorists,” and prohibit the “purchase and possession of armor piercing bullets,” among several other proposals. Moreover, Gillum’s support for limiting “gun access” to “known foreign and domestic terrorists” is likely a reference to using the federal government’s “No Fly List” to restrict gun ownership. Given that Americans are frequently put on the list by no recognizable form of judicial due process, this means that Gillum would be in support of stripping Floridians of their Second Amendment rights without the ability to defend themselves in court. Also according to the Sun-Sentinel, Everytown’s latest donation to Florida Democrats does not represent Bloomberg’s only foray into the midterm elections there, as the former NYC mayor is also personally donating $250,000 to Gillum’s campaign. As a group, Everytown has also given money to Republicans such as prominent Florida state Senator Bill Galvano, who led the local charge to pass new gun control regulations in the aftermath of the Parkland School shooting earlier this year. In total, Galvano’s “leadership political action committee” has reportedly received $200,000 from Everytown in appreciation of such efforts.